S corporations report total income and expenses at the company level and pass through a share of net profit or loss to their individual shareholders. An S corporation must maintain excellent records of each shareholder's investment of cash or property. These records are crucial for establishing each shareholder's percentage of ownership in the company. S corporation accounting is generally the same as C corporation accounting in that income and expenses are reported at the corporate level. The nature of various types of income and expense are identified at the corporate level as well. S corps can choose an accounting method that's best suited to reporting the income and expenses of a particular company. They're not required to use the accrual method of accounting. They can choose the cash method or a hybrid method of accounting. Income and expenses retain their character when they're passed through to shareholders. For example, long term capital gains are passed through as long term capital gains. The greatest challenge by far in S corp accounting involves the capital accounts of each and every shareholder. The company must maintain meticulous records of each shareholder's equity investments of cash and property, as well as any loans that each advances to the company. Unlike limited partnerships and limited liability companies, shareholders of S corporations must divide the corporation's net income in strict proportion to their shares of ownership. Exactly one-third of the company's net profit or loss must be allocated to a shareholder who has contributed exactly one-third of the company's capital. The capital accounts come into play in two crucial aspects of an S corporation's financial and tax reporting. First, the capital accounts are reported on the company's balance sheets as shareholder equity and loans from shareholders. Then each shareholder's capital account can be summarized on Form 1120S Schedule K-1. Insufficient capital investments can cause shareholders to fail to meet the at risk rules for losses. They can they cause business losses to become non-deductible. The Internal Revenue Code's at risk rules are intended to prevent shareholders from writing off more than their actual contributions to the business. A shareholder's capital account must reflect his investments and his current basis in the S corporation's equity or liabilities. A shareholder is invested in the S corporation to the extent that he's made an equity investment or he's advanced a loan to the company. Shareholders can invest either cash or property. 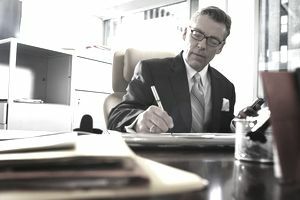 A shareholder might contribute a computer, a desk, reference books, and software programs to her newly formed S corporation in addition to making a cash investment. The value of the shareholder's property is the fair market value of the property or the shareholder's adjusted basis in the property, whichever is less. Shareholder's equity is reflected in the shareholder's capital account. This account should show the dollar amount of cash investments as well as the value of property donated to the company. A shareholder who contributes $10,000 in cash, a computer worth $2,000, and software worth $400 would have a capital account showing a total investment of $12,400. The capital account is adjusted from time to time to reflect additional equity investments, as well as at the end of the year to reflect each shareholder's pro-rata share of income and expenses. The adjusted basis of a shareholder's stock is calculated as follows. Begin with the adjusted basis at the beginning of the year and add shares of all income items that are separately stated, including tax-exempt income, shares of all non-separately stated income items, and shares of deduction for excess depletion of oil and gas properties. Now subtract distributions of cash or property to the shareholder that were not included in her wages, shares of all loss and deduction items that are separately stated including Section 179 deductions and capital losses, and shares of all non-separately stated losses. You must also deduct shares of non-deductible expenses, such as the non-deductible portion of meals and entertainment expenses or non-deductible fines and penalties. Finally, deduct depletion for oil and gas properties not in excess of the property's basis. The result equals the adjusted basis in S corporation stock at the end of the year. A shareholder can advance money to an S corporation as a loan. A common example is a shareholder that pays for company expenses using his personal credit card and submits an expense report to the company for repayment. Loans can be short term to be repaid in one year or less, or they can be long term loan to be repaid in more than a year. Shareholders who make loans to their S corporations can take a tax deduction in the current year for losses in excess of their stock basis, but only to the extent that they have loan basis. Begin with the initial amount loaned to the company to calculate loan basis and adjusted loan basis. Add in all additional amounts loaned to the company and deferred interest that is capitalized or added to the loan instead of being repaid. Now deduct the amount of loan principal that has been repaid, any amounts of loan principal forgiven by the shareholder, and the amount of loan principal converted to stock. You must also deduct the share of net loss in excess of a shareholder's adjusted stock basis. The result is the adjusted basis in S corporation debt at the end of the year. Adjusted basis cannot be below zero, but using this formula for calculating adjusted basis often results in a negative number. Handling "negative basis" of S corporation stock involves reducing a shareholder's stock basis, but not below zero, and reducing the shareholder's loan basis, but not below zero. Any excess negative basis is treated as a non-deductible loss. This excess loss is a suspended loss and can carry over to future years indefinitely. The suspended loss can be deducted in any future tax year during which the shareholder has restored her loan basis or stock basis. The shareholder must restore her loan basis before restoring her stock basis in the following years if she had both an equity investment and also advanced a loan to the company. Shareholders can restore their stock basis or loan basis in several ways. The easiest way is to make additional cash investments to restore stock basis, or to advance additional cash loans to restore loan basis. Adjusted stock basis and adjusted loan basis should be calculated tentatively just before the end of the year. This gives shareholders sufficient time to make additional loans or equity investments to ensure that any losses are fully tax deductible. Each shareholder has an amount at risk—the amount of money he stands to lose from his investments or loans to the company. A shareholder's amount at risk is calculated as the adjusted stock basis plus the adjusted loan basis. Any loss in excess of the amount at risk is a suspended loss. It's very important for an S corporation and its shareholders to track adjusted stock basis and adjusted loan basis accurately because each shareholder's stock basis and loan basis will be adjusted for his pro-rata share of losses even if those losses are suspended because of the at risk rules. S corp shareholders are also subject to the passive activity rules. These rules govern to what extent an S corporation loss is currently deductible by a shareholder. S corp losses are deductible only to the extent that the shareholder has passive activity income if the shareholder does not actively participate in the business. Passive activity income includes passive income from S corporations, partnerships, trusts, interest, dividends, and other investment income. Shareholders must meet the stringent "active participation" tests for real estate professionals in order to deduct rental losses in fulI if the S corporation is engaged in the rental property business. S corporation rental losses are deductible only to the extent that the shareholder has passive activity income if a shareholder cannot meet the active participation tests for real estate professionals.